First there were party drinks, and now we bring you this cool 12" long, multicolor drink straw, (part of our Light-Up Barware collection,) the ultimate light-up party and bar favor! Have a great time, relaxing with friend,s as you sip your drink through this fun and colorful item! 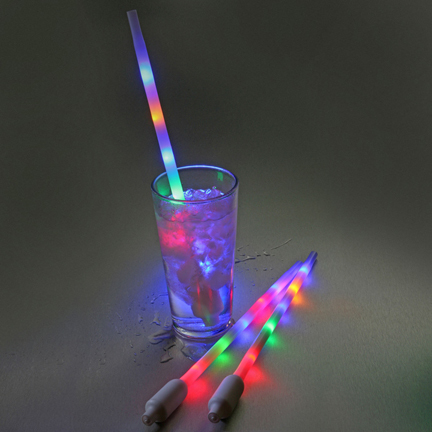 This LED Flashing berverage straw features 3 "Rainbow" modes. 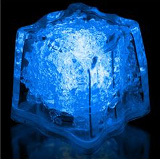 It cycles through various colors quickly, has a steady blink mode, and has a solid light up option. It is made of a high quality, safe, white plastic, with included batteries. A push button-switch on the mouth piece provides easy and reliable operation. This super-bright LED Drink-ware is sure to liven up any party or event! These will be the talk of the party and are a must for every party goer! Get one for everyone in your group! Batteries are included and pre-installed but are not replaceable. These super-cool LED Drink Straws make great gifts for any occasion or party goer, and are great for that hard-to-shop-for party person. If you're looking for a really cool gift, look no further! Comes with non-replaceable batteries preinstalled!